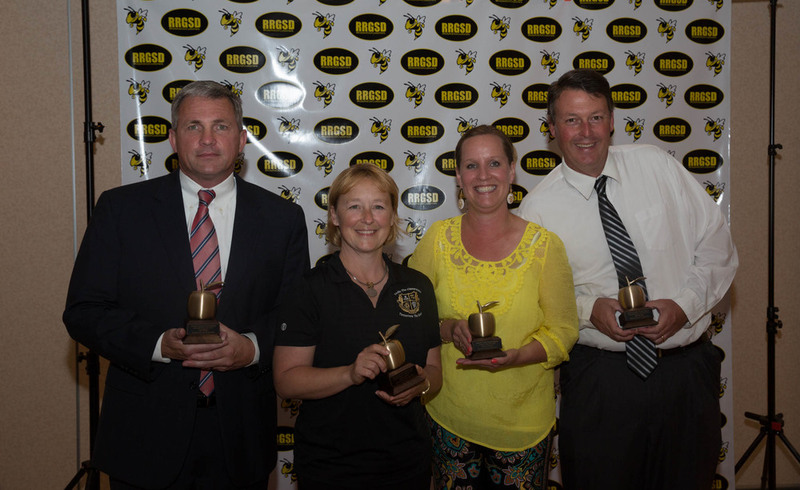 The Roanoke Rapids Graded School District hosted its inaugural Celebration of Excellence tonight at the Kirkwood Adams Community Center to honor this year’s best educators. “We wanted a night set aside to honor the excellent work that goes on in our classrooms throughout the school year,” said Dr. Dain Butler Superintendent. Finalist were interviewed by a selection committee where they were given the opportunity to present an innovative/creative program and or project implemented this year in their schools. This year’s Assistant Principal of the Year winner was Tad Merritt. Roanoke Rapids High School Nurse Emily Harris took home the honors. The 2017-2018 Principal of the Year, Jeff White will go on to represent RRGSD at the regional level. White thanked the district for honoring him and also thanked fellow nominee Mike Ferguson for his many years of service to the district. Ferguson announced his retirement earlier this month. “There are no runners-up. I’m honored to be in the company of such great educators who work tirelessly for the children of this community,” said White. Mary Durham, 3rd Grade Teacher at Belmont Elementary was named the district’s Teacher Ambassador. She will go on to represent Roanoke Rapids Graded Schools at the regional level. Durham who comes from a family of educators said, “I’m so honored to represent this school district. I struggled as a young reader and that has been my mission as a teacher to give my students the same support I had as a child. Durham received hundreds of dollars in prizes and gift cards from local businesses and a golden apple trophy to display in her classroom.